Looking for the weight loss recipe your Chicago personal trainer will be proud of? 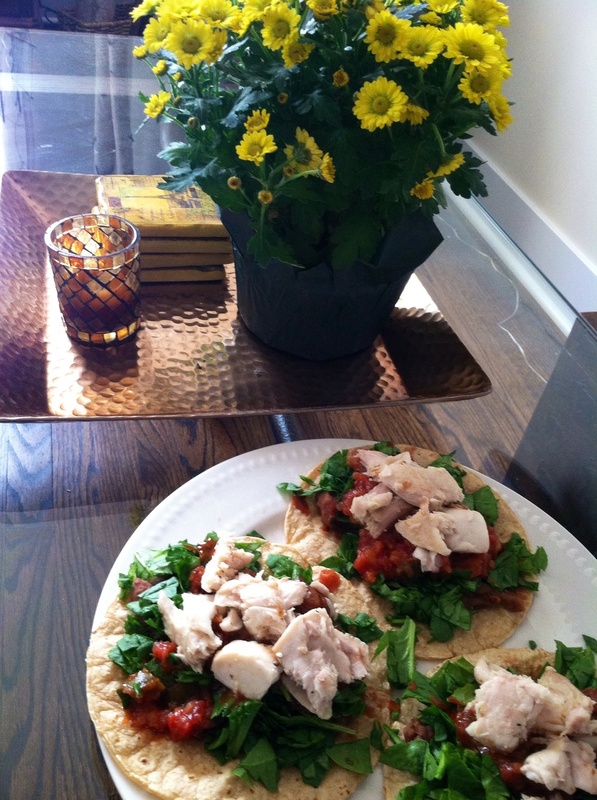 Check out this easy 15 minute fish taco recipe to liven up your weight loss lunches and dinners! ****Saute Trader Joe's frozen Mahi with 1 tbsp of olive oil until you reach the temperature of 175 on low heat. Season with salt and pepper. Meanwhile, finely chop 1 cup of spinach, heat 1/2 cup of vegetarian refried beans, and warm 2 El Milagro corn tortillas. Once everything is heated, create your taco and top it with your favorite salsa or hot sauce! Weight Loss recipe your Chicago personal trainer won't yell at you for. Do you find yourself bouncing from one supplement to another? How do you know what works best while you meet with your Chicago? Sadly enough, you don't and probably won't find out unless you perform blood tests for an extended period of time. Nevertheless, despite not knowing the real total effects of supplements on your body or anyone else's, personal trainers in Chicago still blindly recommend weight loss supplements for short term results and/or financial gain. There's no avoiding this fact: Most supplements aren't FDA approved or have gone though non-privatized funded projects. Should you lay your body in the hands of a miracle pill that hasn't been tested? Do you need to take this risk when you haven't scientifically tested you're true physical need? It can be good to push your boundaries during a personal training experience. This doesn't mean jumping off a cliff without looking when choosing the right nutritional path. Reconsider taking supplements.